4 BOYS AND 6 GIRLS. 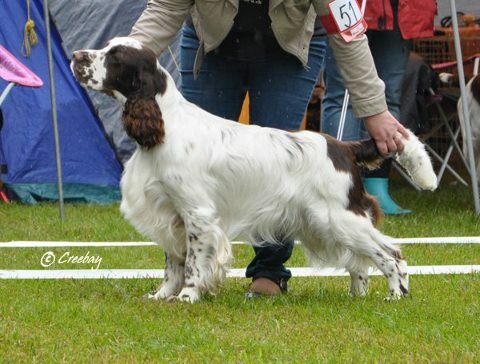 Se(u), No Ch Mompesson Escourt "Topper"
Topper lives in Norway and he has lovely outgoing springer temperament.He has won CC´s both in Norway and Sweden and has also BIS placements. 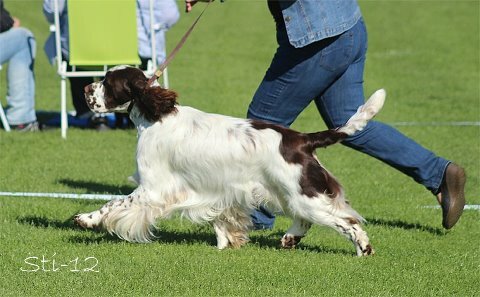 Topper on tuontikoira Isosta Britanniasta ja asuu Kennel Ursa Major´s :ssa Norjassa.Tällä nuorella uroksella on iloinen springeriluonne ja aivan mahtavat liikkeet.Topper on pärjännyt näyttelyissä upeasti ja sitä on myös koulutettu metsäpuolelle. 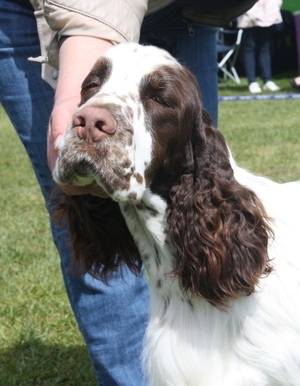 Amy is very lively and happy springer who loves to swim and play with other dogs. 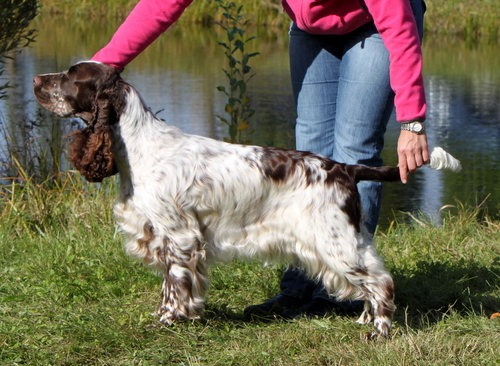 She has won 16 CC´s in Finland and has 3 Cacibs.She is BIS winner and also has some group placements. 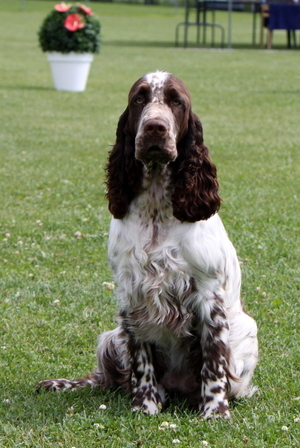 Both parents are super movers and have the type we like and aim for. 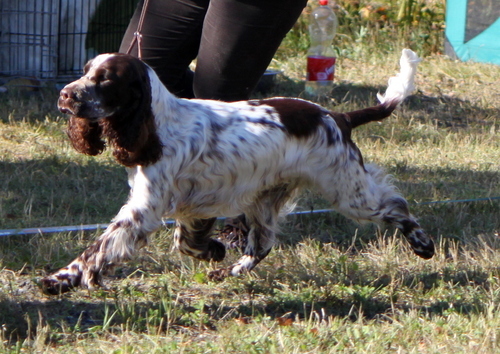 This litter´s pedigree is filled with top dogs both in Scandinavia and in Great Britain and we are really looking forward to it! Molemmat vanhemmat ovat terveystutkittuja , erinomaisia rotunsa edustajia.Sukutaulussa on useita Pohjoismaiden ja Englannin huippukoiria.Odotamme todella paljon tältä pentueelta!